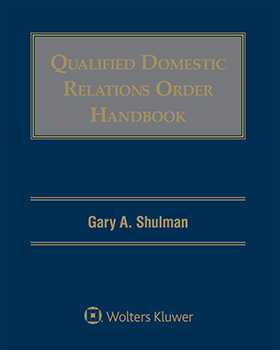 Widely recognized as the definitive work on the topic, Qualified Domestic Relations Order Handbook, Third Edition, written by Gary A. Shulman, turns the most confusing QDRO issues into clear answers and step-by-step guidelines. Easy-to-understand explanations for complex QDRO issues such as pre- and post-retirement survivorship, separate interest vs. shared, early retirement subsidies and supplements, coverture formulas, etc. Why waste time and risk costly errors by working with scattered resources and partial information? With the QDRO Handbook, Third Edition, you'll save time as well as trouble. It provides fast, definitive resolutions to all your QDRO questions. And because it's designed for both attorneys and plan administrators, it helps you anticipate questions throughout the entire drafting and approval process. That means less guesswork, fewer delays and most importantly, less liability exposure. Should QDROs Contain Survivorship Provisions? Who Should Pay the Cost for Survivorship Coverage Under a QDRO? Nunc Pro Tunc QDROs Upheld by United States Court of Appeals, Second Circuit: Did They Get It Right? Are QDROs Required for IRAs? Is the Plan Required to Determine the Validity of the QDRO? When the “Company Model” Is Proffered: When Should the Company’s Model QDRO Be Scrapped in Order to Secure the Rights of Your Client Under the Company’s Defined Benefit Pension Plan? What Can Be Done When the Plan Wants to Charge My Client More If We Do Not Use the Company Model or Will Not Even Permit a Lawyer-Drafted QDRO? Where Can I Find an Expert for QDRO Litigation? What QDRO Resources Are Available? Initial Receipt of “Executed” QDRO: What Do We Do First and When Do We Start Segregating Benefits? What Should the Plan Administrator Do If the Participant Dies Before the Order Is Qualified? What Happens If the Alternate Payee Dies? 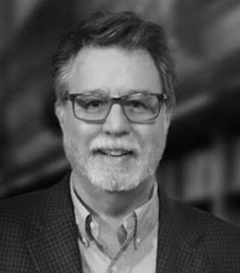 Should Your Company “Outsource” QDROs or Handle Them In-House? Who Should You Hire to Review Your Company’s QDROs? The Military’s Version of Early Retirement: VSI and SSB Benefits—Should They Be Considered as Marital Property Subject to Equitable Distribution? What Is a “Treat-As-Spouse” QDRO? How Can I Be Sure That Employee Will Not Take His Money and Run? Can My Client Get the QDRO Money Now?